How to Unlock The Best Petit Basset Griffon Vendeen Temperament? 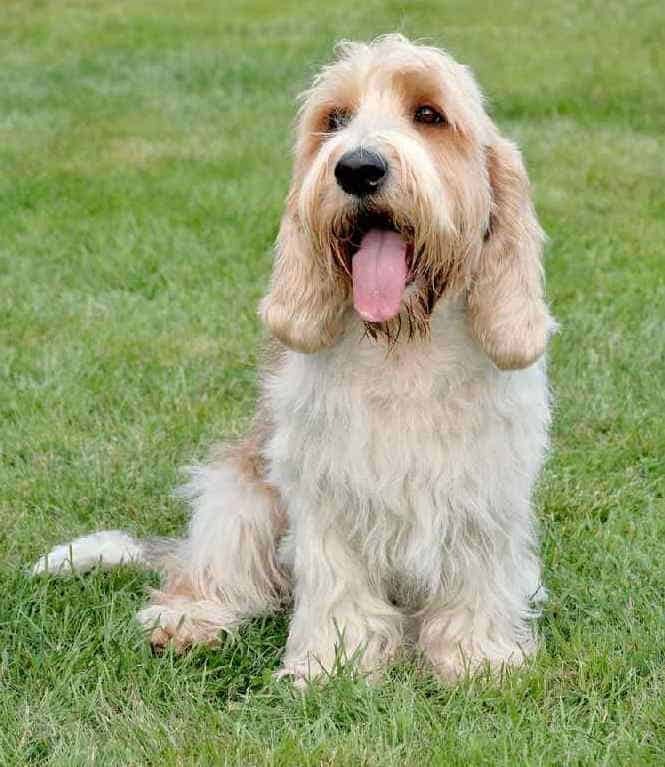 The Petit Basset Griffon Vendeen temperament is best described as outgoing, happy-go-lucky and amiable. The Petit Basset Griffon Vendeen (also called the PBGV for short) is a short-legged member of the hound group. He was bred for hunting rabbits in his native France, but he is equally happy as a family pet. Are thinking about adding a Petit Basset Griffon Vendeen to your household? If yes then make sure to do your research to find out if this breed is the right choice for you. Visit dog shows, speak with breeders and owners, and ask questions. 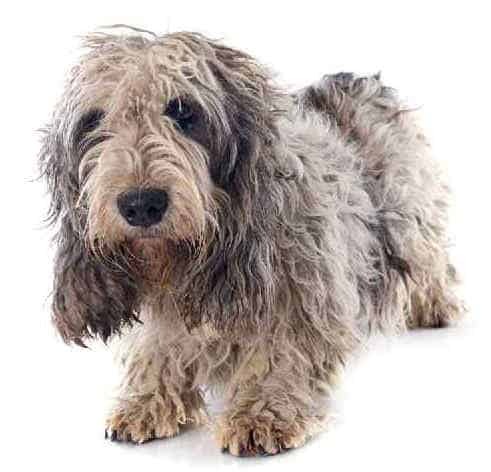 The following are a few of the most important aspects to consider about the Petit Basset Griffon Vendeen temperament. PBGVs are often described as jovial and vivacious. They enjoy meeting new people and making new friends. They usually take pleasure in going places with their owners like restaurants and coffee shops, especially if they receive positive training and exposure from an early age. Petit Basset Griffon Vendeens were bred to live and work in packs. This is one reason why they tend to be comfortable around other pets and children—especially if you take extra care to socialize them from a young age. PBGVs are happiest when you treat them like they are part of the family pack. They do not do well when they are kept in isolation. If you adopt a PBGV, you need to commit to making him an integral part of the family. 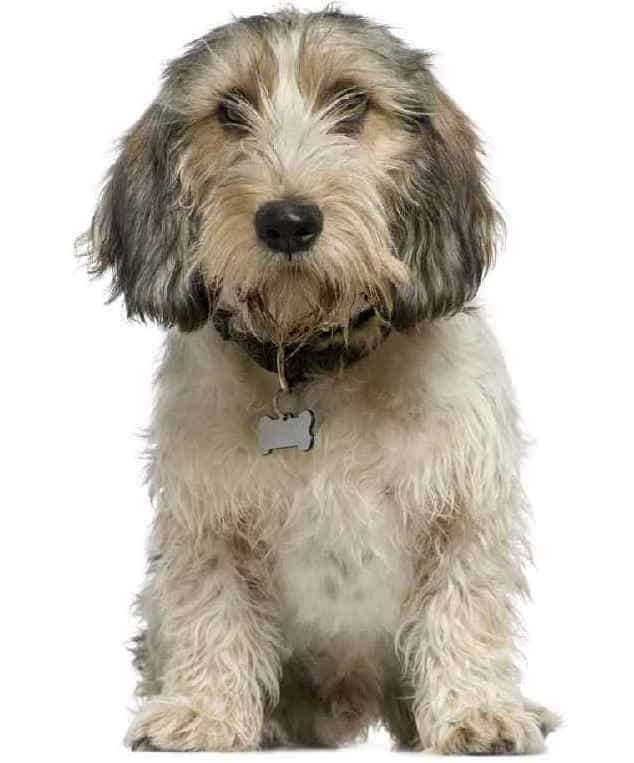 PBGVs are part of the hound group, and they possess a deep bark. They are alert watchdogs and they will bark if they hear strange noises. If you live in an apartment, this breed may not be the right choice for you. These dogs were designed to hunt in rugged terrain. They may be on the smaller side, but they can keep up with active families. If you enjoy hiking, camping, and other outdoor activities, your PBGV will be by your side. The PBGV is a scent hound. Like most scent hounds, your Petit Basset Griffon Vendeen should not be trusted off leash unless you are in a completely secure area. If your PBGV catches the whiff of a rabbit or another interesting scent, he will take off and may not heed your commands. The PBGV is a French hunting hound that appeared in the 16th century. The PBGV’s name translates literally to Petit- small, Basset- Low to the ground, Griffon- wire coated, Vendeen- a coastal region of western France, the region where the breed emerged. The PBGV’s thick coat was selectively bred to protect him from the harsh climate and rough terrain of the Vendeen region. The American Kennel Club recognized the Petit Basset Griffon Vendeen dog in 1991. Some people claim that PBGVs (and hounds in general) are hard to train. However, this is not necessarily true. You just need to be patient, consistent and find the right motivation. Like many hound breeds, the PBGV was bred to make its own decisions in the field. It is an independent thinker. It does not blindly follow commands. Many people enjoy this quality in their dogs. PBGVs respond best to positive reinforcement training. Hounds are very food-motivated, which is a plus for training! Keep training sessions short, interesting and fun. If possible, enroll your PBGV in a positive reinforcement obedience class as soon as possible. Never use physical punishments with your dog. Avoid trainers that use pinch collars, shock collars, or other aversive methods. PBGVs do not respond well to these forceful methods. If you are interested, you can even train your PBGV to participate in many fun canine activities including tracking, nosework, search and rescue, therapy work and agility. The Online Dog Trainer by Doggy Dan a world-class Dog Trainer from New Zealand is worth taking a look at. This online resource has hundreds of fun informative dog training videos that can help you learn the basics and more to grow up a well trained PBGV. The Petit Basset Griffon Vendeen weighs between 35 and 40 lbs but stands no more than 15 inches tall. The PBGV is a compact, low-slung hound. Its short stature is one of its most distinctive features. The predominant color is always white for prime visibility in the field. It can have markings in a wide array of colors including black, sable, tricolor, lemon, orange or grizzle. The coat is coarse and forms a beard and moustache around the face. Petit Basset Griffon Vendeen shedding is minimal, which makes it an ideal pet for many people. And the PBGV’s thick, wiry coat does not require much maintenance. Occasional brushing, bathing, and trimming will do the trick. Is the Petit Basset Griffon Vendeen hypoallergenic? Unfortunately, the Petit Basset Griffon Vendeen is not considered a hypoallergenic breed. So it is not the best choice for people with allergies to dog dander. Note: Our Health is #1 Priority. It should be no different or your PBGV. But you need to help him. The Ultimate Guide to Dog Health is the answer. This handy guide will help you recognize the symptoms of the health problems above. Get the knowledge to stay ahead of these terrible issues that can rob your lovely PBGV from vigor and life. Help your friend enjoy life to the fullest without pain and suffering. It is important to establish a relationship with a veterinarian as soon as you acquire your new dog. 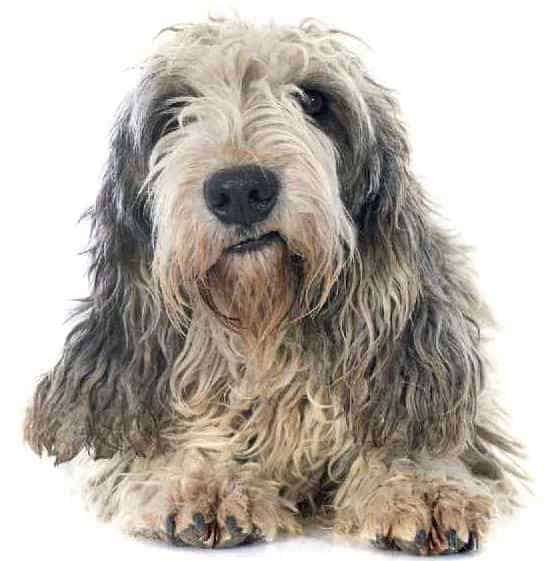 Your PBGV should receive a full examination on a yearly basis. Additionally, your PBGV should be on monthly heartworm prevention for its whole life. Spaying and neutering are highly recommended. Altered animals live longer, healthier lives. Most breeders will require you to sign a contract agreeing to neuter your puppy at the appropriate age. Responsible breeders never want their dogs to contribute to the homeless animal population in American animal shelters. If you would like to add a PBGV to your family through adoption, a great resource is the Petit Basset Griffon Vendeen Rescue Committee. The Petit Basset Griffon Vendeen Rescue Committee rehomes PBGVs that lose their original homes due to a financial crisis, family changes, death of an owner, etc. They work hard to match each rescue PBGV with a new, loving home. All PBGVs placed through the rescue committee are spayed/neutered, vetted and microchipped prior to adoption. Visit your local animal shelter or humane society to let them know that you are in the market for a Petit Basset Griffon Vendeen or a Petit Basset Griffon Vendeen mix. You can also leave an application on file in case a PBGV comes in. You can also search for an adoptable PBGV online by visiting adoption websites such as Petfinder.com or Adoptapet.com. The adoption fee for a PBGV will vary depending on the source. Most shelters and humane societies charge an adoption fee between $75 and $150. Private rescue groups may charge more, especially if they provide additional vetting such as heartworm treatment or other special procedures. Adopting a PBGV rescue dog is a very rewarding experience. If you decide to work with a Petit Basset Griffon Vendeen breeder, a good place to start is the PBGV Club of America. The club has public education coordinators who can refer you to reputable Petit Basset Griffon Vendeen breeders in your area. PBGVs are rare in the US, so it may take some time and patience to find a Petit Basset Griffon Vendeen for sale from a reputable breeder. Once you make contact with a potential breeder, make arrangements to visit the premises in person. Ask for a tour of the facility and ask to meet the adult breeding dogs. Make sure the dogs appear to be in good health and have sound temperaments. Request medical records and ask to see the results of genetic testing. This is a critical step to make sure that your Petit Basset Griffon Vendeen puppy comes from healthy, humane conditions. If the breeder does not welcome your visit, keep looking for alternatives. Never buy a puppy blindly over the internet or through a pet store. Reputable breeders will want a chance to meet you, too. They want to make sure that their Petit Basset Griffon Vendeen puppies are going to loving homes. Be prepared to make a major investment if you purchase a puppy from a breeder. The Petit Basset Griffon Vendeen price from a quality breeder is between $1,200 and $1,600. 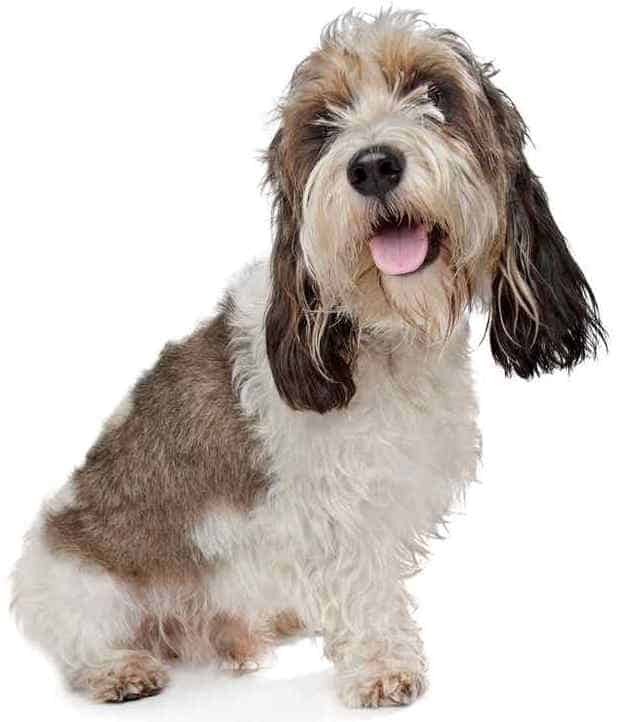 If you are looking for a goofy and lovable companion, the PBGV is an excellent option. The Petit Basset Griffon Vendeen temperament makes this breed an ideal choice for many families, especially families with children and other pets. Its low-maintenance coat and compact size make it extra appealing to many prospective owners. This breed can live for 14 to 16 years, so make sure you are able to make a lifelong commitment before welcoming a PBGV into your home.